Hello everyone! My name is Conor Snow and I am a senior history major here at Goucher. I have had a wonderful experience in the history department and absolutely love all of the professors. Preferably I like to study early American and twentieth century German history. And yes, I love studying German language as well. 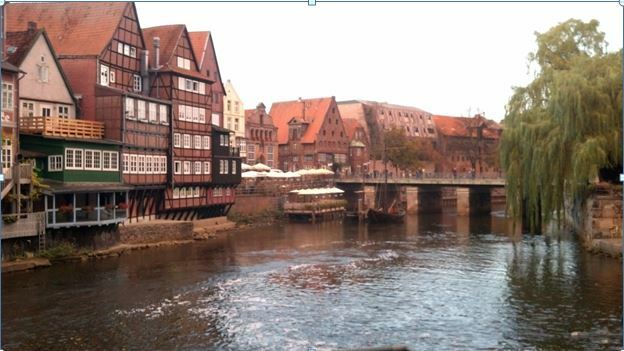 I had studied German for about 5 years prior to studying abroad in Lüneburg, Germany in the fall of 2013. The program was through USAC and I took an intensive German language course along with a German history and culture class. 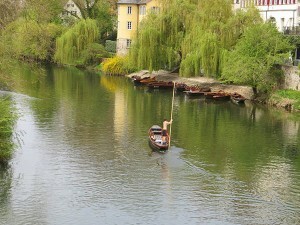 I really enjoyed not only learning the German language, but also living it! Lüneburg was the perfect place for this. It is the only true way to master a language. The town was not destroyed in WW2 so the medieval city center still exists along with contemporary architecture and a fantastic nightlife. 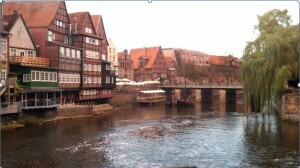 I chose Lüneburg mostly for the historical reasons. But if you are looking for a more modern experience, then Hamburg, Germany’s second largest city, is only 20 minutes away by train for free with your student pass! 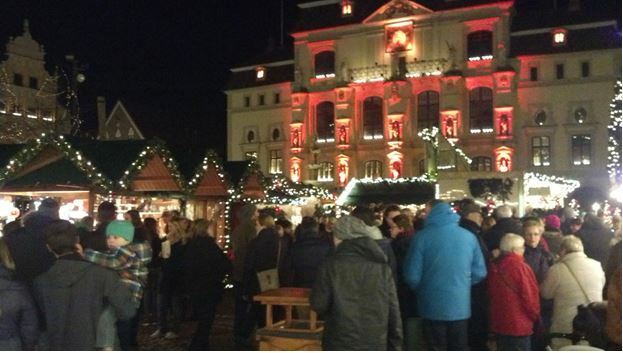 In fact, you can travel for free throughout the whole state of Niedersachsen! Travel in general was easy and being able to visit other German cities and European countries conveniently by train was incredible (and plausible due to the fact that USAC gives their students off on Friday). This experience of living in Lüneburg for more than 3 months really sharpened my German skills in all areas and opened my mind to a somewhat different but wonderful culture. The people were some of the friendliest people I have ever met and they made me feel very welcome. In addition, Leuphana University in Lüneburg was incredible and the food was very good as well. Speaking of food, German food is amazing and the beer of course tops the charts. If you are looking to further your German skills and expand your knowledge of German culture or simply study in such a great place, then I recommend Lüneburg for you. I made life-long friends and experiences. I would not take back one second of it. I transferred into Goucher in the fall of 2011 and I have really enjoyed my experience here. Particularly beneficial to me has been the small size of my history and German classes (my major and minor, respectively). I feel part of a community within these departments. 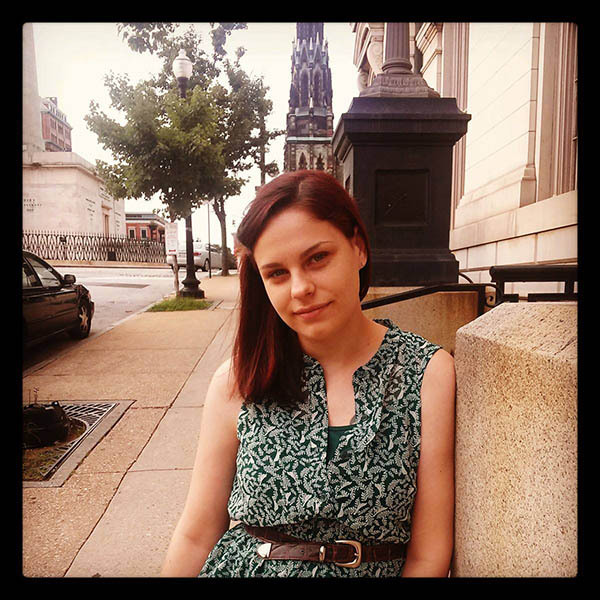 I have known from the start that I wanted to combine my two interests, and the professors at Goucher make that possible by offering German history courses and German-language classes that emphasize important points in German history. Naturally, I also wanted to experience modern day life in Germany, so in the spring of 2013, I studied abroad there through the Goucher-sponsored Antioch Education Abroad Program. 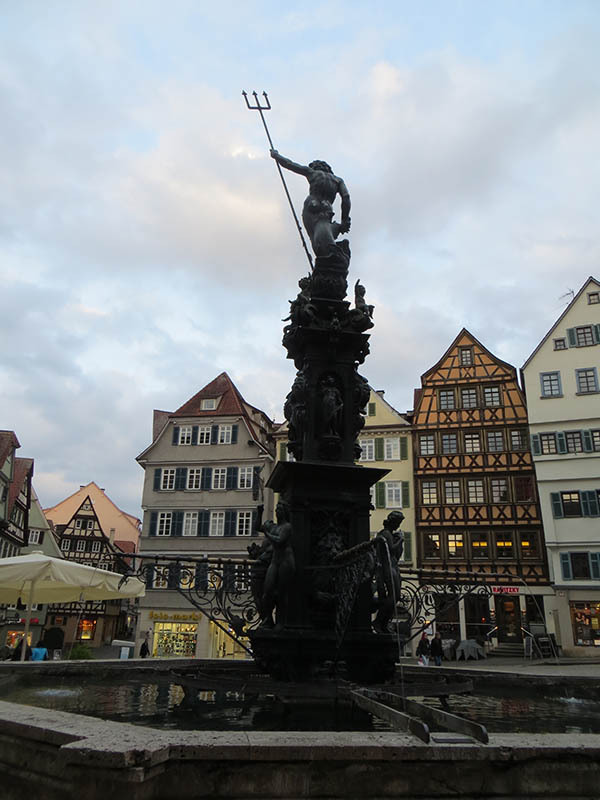 I studied in Berlin and Tübingen, and had the opportunity to travel throughout the country, visiting Stuttgart, München and Frankfurt am Main. The most interesting outcome of my trip was discovering the diversity of culture within each of these places, down to the regionality of beer styles and dialects. 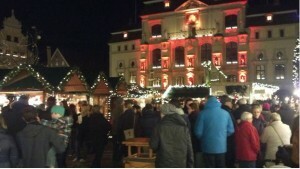 I will also always remember the generosity and sincerity of the Germans I came to know in my time there. I absolutely love studying German- it’s such a rich and beautiful language. Though it was challenging initially, the time I have invested in learning German was totally worth it. Incidentally, what you hear about immersion is true: it really is the fastest and most effective way to become fluent in a language. The time I spent in Germany brought me to the point of near-fluency relatively quickly, after having studied German for three years. In the future, I hope to use my German-language skills working in the archives field. 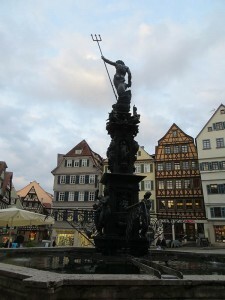 I also plan on returning to visit Germany as soon as I can! My name is Ellie Lehman. I am a senior Special Education major and a German minor. I began taking German in 7th grade and knew I wanted to continue studying it in college, but I have also always wanted to be a teacher. At Goucher, I am able to take courses in German while still pursuing a teaching degree. I have been president of the German Club and am currently the Supplemental Instructor for the German courses. 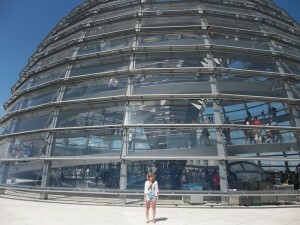 In the summer of 2012, I traveled to Berlin on an Intensive Course Abroad. Here I studied German at the Neue Schule alongside students of all ages and from many different countries, many of whom did not even speak English! It was incredible to be able to communicate with someone in a language other than English, and the trip allowed me to see many parts of the city. I also spent a semester abroad in Denmark, where my German skills proved quite useful. I found that many Danish words were similar to German words. Although I would have loved to spend a semester in Germany, I wanted to use this opportunity to travel someplace completely different. I plan to go back to Germany someday and hopefully teach there. Studying German has been a wonderful experience because it has taught me a lot about Germany and its culture, helped me understand my own language better, and introduced me to some amazing people. 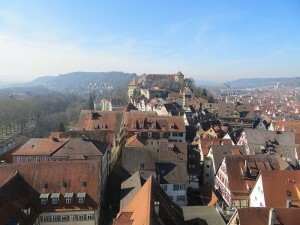 I have thoroughly enjoyed my experiences with German at Goucher and highly recommend taking a German course! 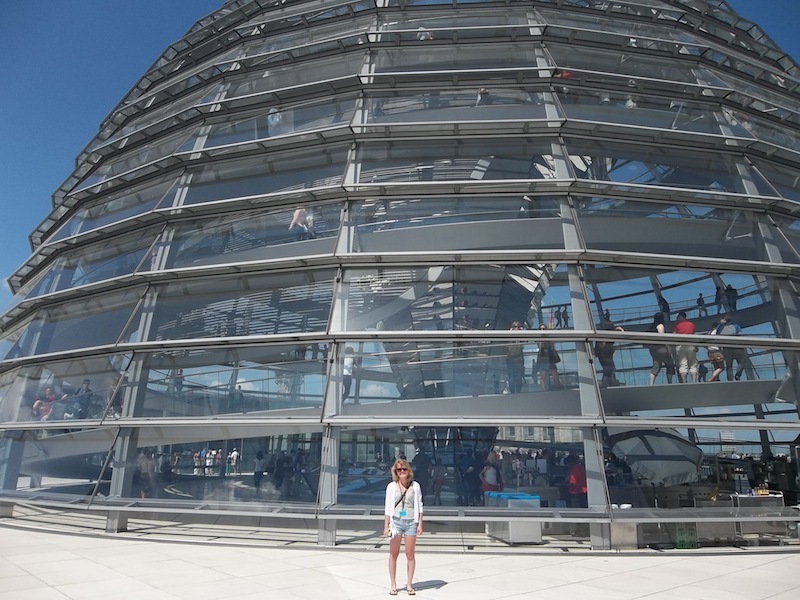 After completing my first year at Goucher in 2012, I embarked on my study abroad to Berlin, Germany. I settled on the idea of completing Goucher’s study abroad requirement with a three week Intensive Course Abroad for a variety of reasons (field hockey, financial considerations, etc) but I was mainly just excited to return to Germany after visiting Bavaria in 2008. When I first landed in Berlin, my skepticism set in. Where were the dirndls and lederhosen? The massive steins of beer? Wasn’t Bavaria the very staple of Germany? Being in the north of Germany, I hadn’t realized what a different, progressive and modern city Berlin was and the impression it would leave on me. 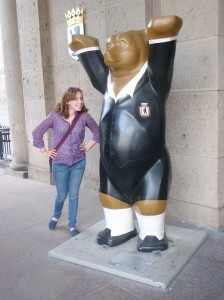 My experience in Berlin was very much like my arrival at Goucher; eye opening and life changing. I quickly embraced the vibrant street graffiti, the Turkish population, the lush, green trees and parks, and the rich history which I devoured with every tour and wandering escapade.